Dr. Bob Spires comes to the University of Richmond from Georgia where he worked in undergraduate and graduate teacher education and taught as a secondary school teacher. 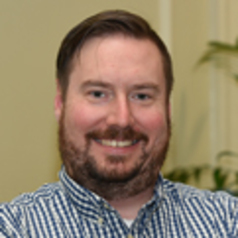 At the University of Richmond, Dr. Spires is serving as an assistant professor in Graduate Education where he teaches a variety of courses in teacher education. His research interests include international non-formal education through charities, non-profits and NGOs, as well as social justice-related issues impacting teacher training. His teaching interests include courses that include middle and secondary teaching methods as well as courses focused on the social, economic, political, philosophical and cultural contexts of schooling domestically and internationally. Dr. Spires’ dissertation was a comparative study of NGOs in Thailand that used education to address human trafficking, which was published as a book titled Preventing Human Trafficking. He continues to conduct field work and publish research on non-formal education in Hong Kong, Cambodia and Thailand. Dr. Spires has also published research on teacher education, including work related to professional development schools and interdisciplinary STEM approaches in teacher training. His service interests include community partnerships and international field experiences for pre-service teachers.